Every once in a while I test myself to see if I’m still able to fold the paper rose. A friend showed me how to fold one back in high school. There was no diagram, just visual learning and muscle memory. 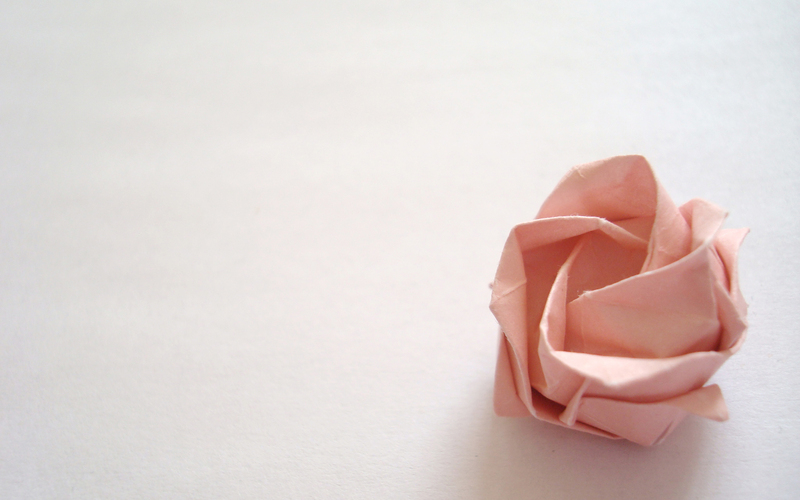 Perhaps that was how Japanese children learn origami in the past. And I’m always surprised to see that, after all these years, my fingers still remember order and position of every crease and fold. After all, it’s a rather complex model, involving a long series of pre‐creases and three‐dimensional shaping. I’ve never timed myself but I know that making a small bouquet takes more than half a day. For all the work that goes into it, I’m struck by how much it also resembles a crumpled ball of paper when looked at from far away. In fact, I can easily obliterate all the carefully calculated folds and meticulous artistry with one squash of a finger, reducing it to nothing but a crumpled bit of scrap paper. And how much, I thought, that resembles our human existence. And yet our lives are so rich. We build relationships. We share laughters and sorrows. We love. We may be here today and gone tomorrow, but the echo of our love is endless. Please refer to Content Sharing for use of images from this blog. 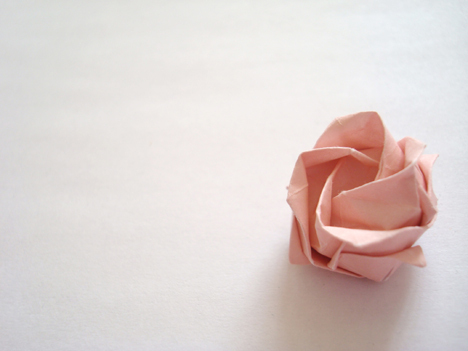 If you’d like to fold your own paper rose here’s one instruction. The sentiment here struck a cord with me today. We could be simply washed away. I have made many origami boxes and puzzle pockets, for Xmas school fayres and the like. But if I tried to make one now? Not sure I could! love the lampshades you make! they would brighten up anyone’s day. 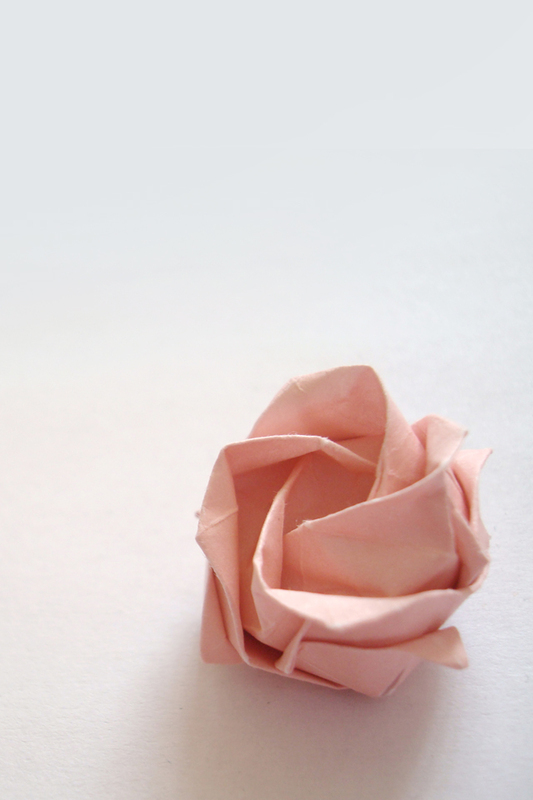 I’ve just found your site and am head, over, heels in love with this paper rose! It’s so simple and beautiful! Bravo! I’ll be back!